Why it matters: Another game is being review bombed on Steam, causing its former ‘Mostly Positive’ rating to drop to ‘Mixed.’ This time, it’s Tom Clancy’s Rainbow Six Siege that has got gamers worked up. The reason? Developer Ubisoft’s removal of sexual content, blood, and gambling in a new update—a move that ensures the game complies with content restrictions in Asia. In a developer blog last week, Ubisoft wrote that as it worked toward preparing Rainbow Six Siege for expansion into Asia territories, “there will be some adjustments made to our maps and icons to ensure compliance.” These cosmetic changes will apply globally as this means less work than maintaining dual builds. “This will allow us to be more agile as a development team, and address issues more quickly. Having the same people working on a singular global version of the game ensures we only need to do the work once,” explained the company. Slot machines, skulls, dagger icons, and blood splatter are just some of the content that is being removed or changed in the game. There will be more drastic alterations that do affect gameplay, but these will only appear in a separate region-locked build. As reported by PC Gamer, Rainbow Six Siege has been hit with almost 2000 negative reviews over the last few days, the vast majority of which are related to the changes. This has caused the game’s rating to fall to ‘Mixed’ on Steam. A lot of the anger is coming from the game’s official subreddit, where posts calling out Ubisoft for seemingly kowtowing to Chinese demands are being upvoted. “By adhering to Chinese censorship they are cooperating with a dictatorship. Like wtf Ubi you can't do this sh*t! This against what the West stands for!” wrote Reddit user Zarvoth. One player went so far as to destroy his physical copy of the game in protest. 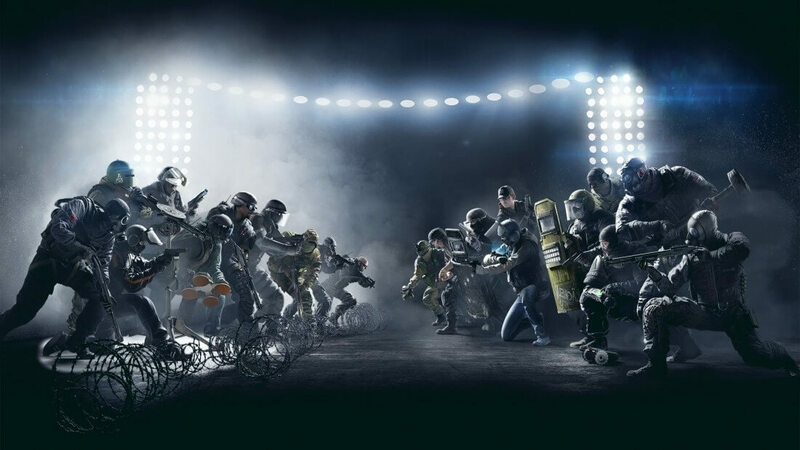 Some Rainbow Six Siege players, including a few members of eSports teams, have said that people shouldn’t focus on these changes, which they claim are almost unnoticeable, but it seems like they’re in the minority when it comes to this issue.